the last dirt road, just she and I, no dad. camel humps rising from the flat desert floor. and gold, the rattlesnake’s hypnotic charms. 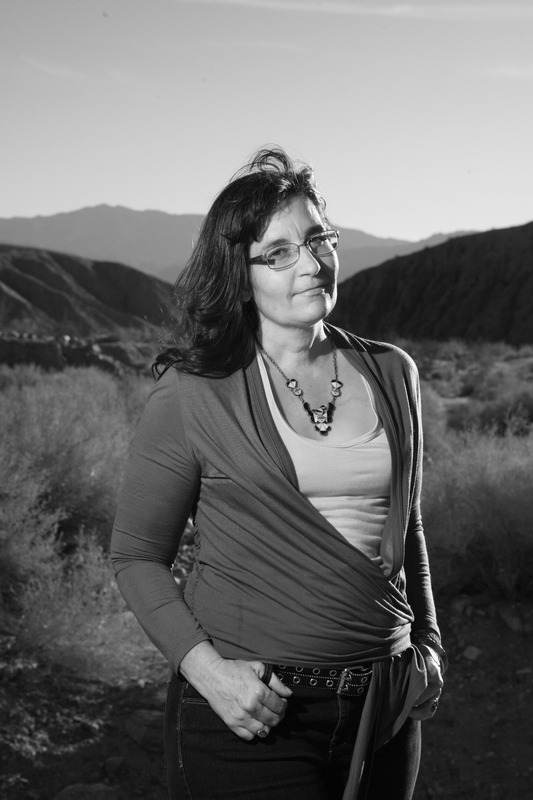 Ruth Nolan is poet and writer living in Palm Desert, where she teaches at College of the Desert. She blogs about the desert for KCET Artbound LA and Heyday Books Her poetry has appeared recently in Rattling Wall Issue 4.
of my gangster, tattooed, sharp-creased, cousins. Yvonne M. Estrada’s recent chapbook, My Name On Top of Yours, features both poems and original photographs: http://tinyurl.com/mzx7fd9. Her poetry has been published in Catena; Mischief, Caprice & Other Poetic Strategies; Pulse Magazine; GuerrillReads.com, #8; Verse Wisconsin; and 2011 Poem of the Month Calendar.